Call for Papers! Call for sponsors! African Union Headquarters, Addis Ababa, Ethiopia. To be announced – please check back. The abstract should be written in the English language in MS Word or rich text format and have a maximum of 300 words. 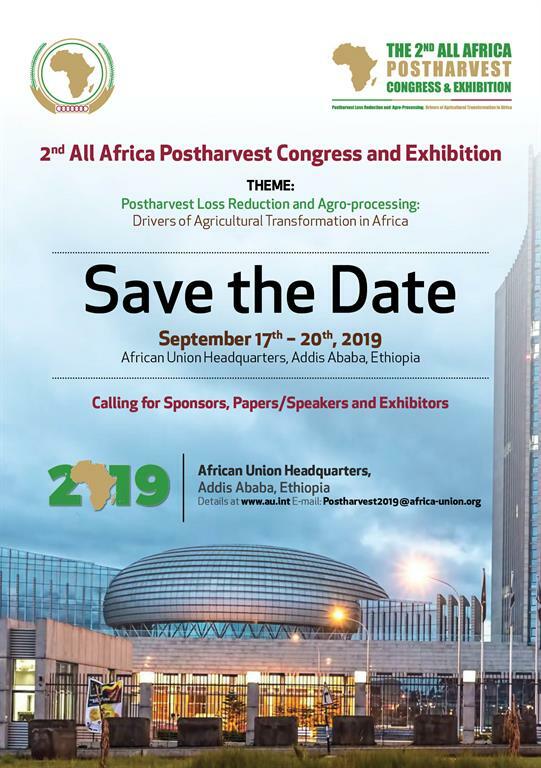 The Africa-wide Postharvest Food Loss Prevention Conference is the first of its kind to be held in Africa. The conference will provide an excellent platform for researchers, academics, farmers, industry, development agencies, civil society and policymakers to learn, share information, build networks and partnerships with the overall objective of identifying effective interventions to reduce FLW in the continent. 4th International Conference on Postharvest and Quality Management of Horticultural Products of Interest for Tropical Regions (ISHS PQMHP 2017) 6 - 8 April 2017 at Amaya Hills, Kandy, Sri Lanka.